On Saturday March 25, 2017, Jos Stam and Jacky Bibliowicz from our Research team in Toronto were guest speakers at the “International Workshop on Computer Graphics Science and Technology Achievements Between Shenzhen and Hong Kong” in Shenzhen, China. 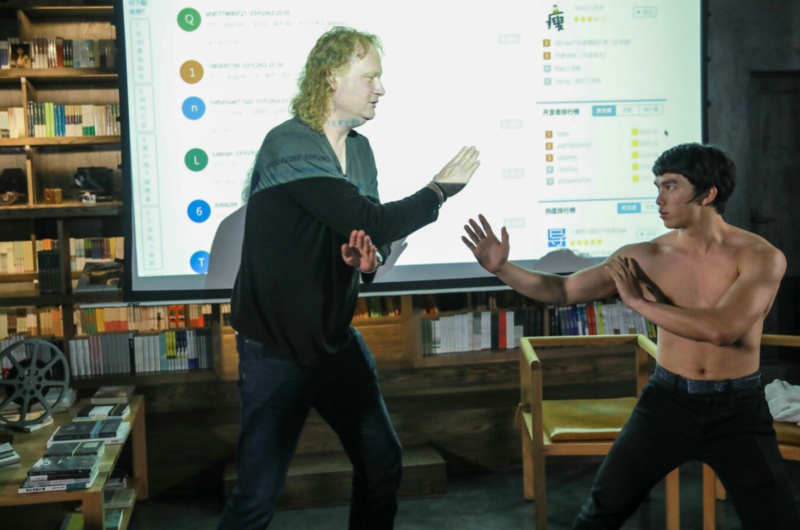 It was a workshop organized jointly by the Visual Computing Research Center of Shenzhen University, the School of Creative Media of City University of Hong Kong, and the Shenzhen and Hong Kong ACM SIGGRAPH Chapters. It is one of the first times that Hong Kong and Shenzhen researchers have met up to collaborate on an event and explore future research collaborations. Jos and Jacky were invited to speak as the keynote speakers. Jos spoke about his research into fluid animation based on his new book, and Jacky spoke about the Parametric Human Project, Dasher, and Project Discover. The event made the local TV newscast. Here is Jos being interviewed. After our talks we were involved in a panel talking about the new trends in our field. All in all a good trip with great company and great food as well. Jos gave four other talks. 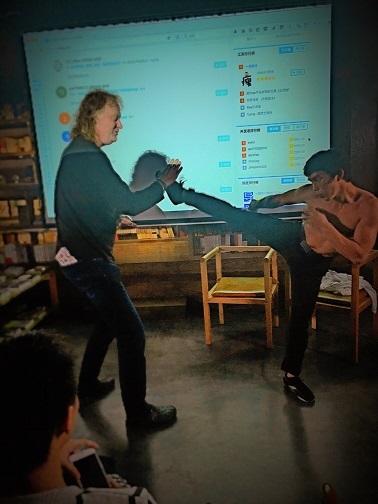 In one of them A Bruce Lee look alike took off his shirt and taught Jos some Kung Fu moves.